He met his wife Irene in June of 1941, and they were married in 1946. They have had a marvelous life together for 65 years. They raised a family of three children; two daughters and a son, namely Cathleen, Frank, and Linda. Their daughter Cathleen passed away much too early at age 52, from a heart attack. Their son Frank lives in Chemainus, and is employed at the Crofton Mill, Linda is married, living in Nanaimo and working for a major bank. Norm joined the Royal Canadian Air Force on Sept. 26th, 1940, the year after the start of World War II. 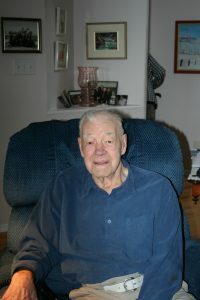 He served in his military career until 1945, as an Air Frame Mechanic in Centralia and Trenton, Ontario where he took his training. 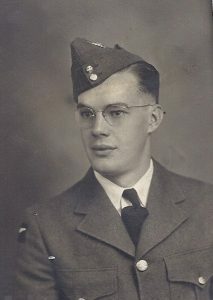 He also served time in Alberta, and finished his RCAF years in Comox, BC. His career never took him overseas. After he was mustered out of the service in Comox, Norm and Irene resettled in Chemainus. He worked over the years at a variety of positions at Island industrial sites, including the mills at Chemainus and Crofton..
Today, the Works live at Station Ridge in Chemainus, in their lovely townhome. Norm is often seen downtown at a local coffee shop with a group of friends. 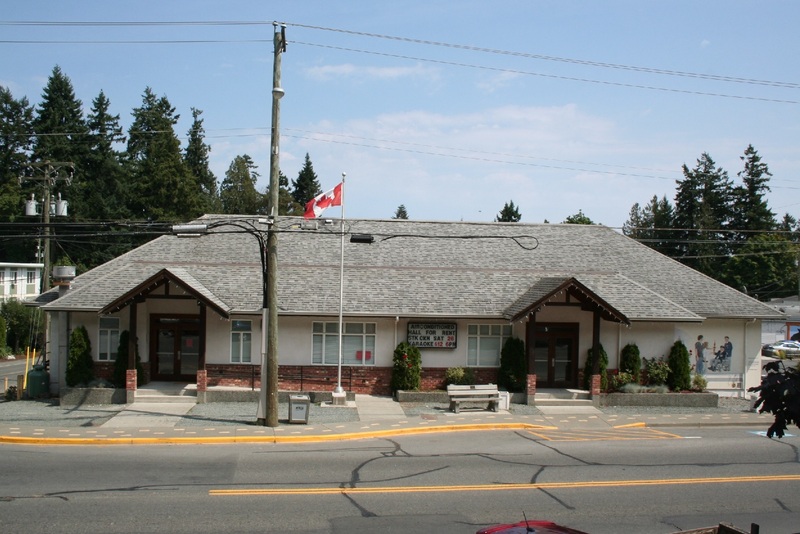 He has been an active member of Chemainus Masonic Lodge for many years, and is a Past Master of his Lodge. He has been a Legion member for 41 years, and still attends functions. You may know him, when you see him. Why not say hello, and thank him for his military service, as well as a lot of his local volunteer work over many years.